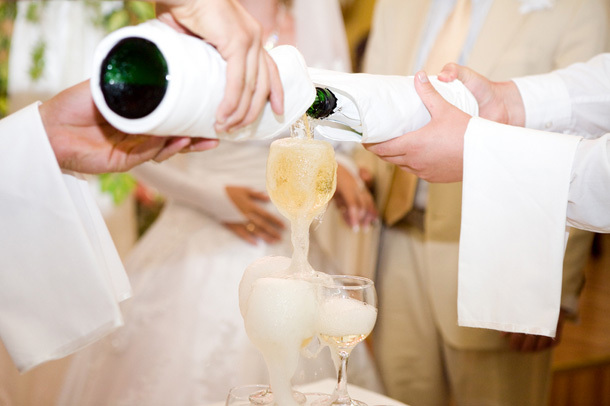 There are several things every wedding guest should know regarding their behaviour. While many of these are obvious to most of us, they may not be to some. The basic rule is to not do anything that will take away from the wedding experience for the bridal couple. It is their day and nothing you do should interfere with that. There are many things a good wedding guest should do and the most important of these is to be respectful. You should show proper respect for all parts of a ceremony and reception. Be courteous to any differences the couple may have from your religious traditions or things you consider to be unusual wedding practices. The religion of the couple may be different from yours and you may not fully understand the importance of any of the traditions associated with the belief. Many of the aspects to wedding ceremonies are very traditional and should not be made fun of by a guest. It is also very important to arrive on time to the ceremony and be polite when introducing yourself. You should arrive at the wedding venue at least fifteen minutes prior to any wedding related event and find your seat in an orderly fashion. Most weddings are set using a tight time frame and any deviation of this could be detrimental to the wedding. With many larger weddings, many of the guests may be unaware of the identities of many of the other guests including the family members of the bridal couple. Make certain to use the appropriate techniques to clearly introduce yourself and how you happen to know the bride or groom. This will allow you to present yourself with the class needed for such an important occasion. Maybe more critical than the things you should do are the things no wedding guests should ever do. Many of these are obvious to most people but a few may have no clue. You should never under any circumstance get drunk at a wedding. There is no good that can come from being in this condition and it can only lead to embarrassment for you and possibly the couple. Another thing to avoid for proper wedding etiquette is to be respectful while at the buffet. The couple has paid a large amount of money so that all of their guests can eat and it is just rude to abuse their hospitality. If you feel like you need to take three plates at the buffet, then you may have been better served to eat prior to arriving at the ceremony. The most important thing to remember when being a wedding guest is that the night is not about you. Don’t make it about you. It is about a bride and groom and their commitment to sharing the rest of their lives together. You should be respectful in the way they have decided to share this occasion with you and the numerous other guests. Any invitation to attend a wedding should be considered a privilege and you should handle yourself with the utmost respect.